Toyota is cutting the price of its Prius plug-in hybrid electric vehicle by more than $2,000, making it the latest automaker to cut prices of electric vehicles. Toyota reduced the price on the 2014 Prius Plug-in hybrid by $2,010 to $29,990, a 6 percent price cut. The automaker is also cutting the price on its 2014 Prius Plug-in Advanced model by $4,620 to $34,905, an 11 percent price reduction. That model has more features including navigation and infotainment, heated front seats and a heads-up display. Moe Durand, a Toyota spokesman, said the new pricing was a reflection of its competitors’ moves. “It’s dictated by market conditions. When somebody starts that trend of allowing a little softer prices, market demand can determine price,” Durand said. Toyota has sold 8,000 plug-ins in the first nine months, behind its target of 12,000 for the year. Durand said the automaker has been offering some “considerable” incentives on the 2013 model to help boost sales, but acknowledged it was behind were it had hoped to be at this point. Incentives vary by region. Toyota’s price cuts come nearly two months after General Motors Co. said in August it was cutting the price of its plug-in hybrid Chevrolet Volt by $5,000. The Detroit-based automaker cut the base price 12.5 percent, from $39,995 to $34,995. The price cut came shortly after the automaker announced a $5,000 incentive on the 2012 Volt and $4,000 on the 2013 model. The first Volt, a 2010 model, cost $41,000. Sales jumped in August to their highest level ever to 3,351 vehicles. In July, Ford Motor Co. said it would reduce the price of its low-selling Focus EV by $4,000 for the 2014 model year to $35,200. Ford also offered lease discounts of more than $10,000 and $2,000 off the base price for cash purchases. Sales of Nissan’s all-electric Leaf have jumped since the Japanese automaker dropped the base price by 18 percent, to $28,800 for the 2013 model year. Nissan also added extra cargo room, and for higher-end trims, an on-board charger that reduces electric charging times by half. Honda Motor Co. said in May it was cutting the monthly lease price of its Fit EV from $389 to $259 a month, and reducing by $130 a month the cost of existing Fit EV leases. The revised lease has unlimited mileage. Most of the vehicles are eligible for a $7,500 federal tax credit. 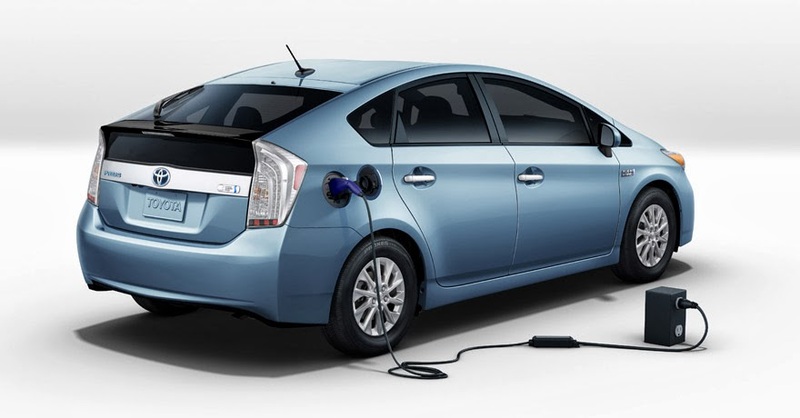 The Prius with a smaller battery pack is eligible for a $2,500 federal tax credit.